View More In Bath Sheets. 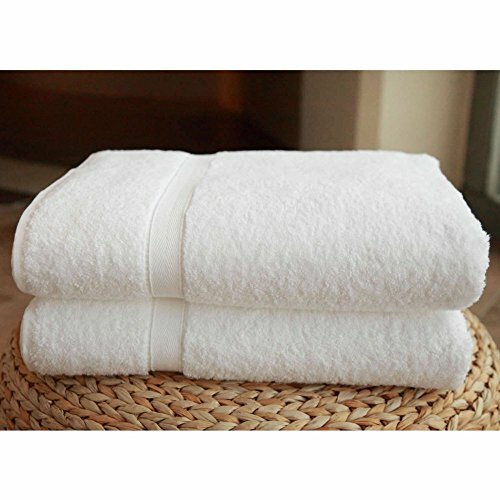 Wrap up in comfort and style with the Luxury Hotel & Spa Turkish Cotton Bath Sheets. This set includes generously sized bath sheets that are plush and thirsty. They're made of 100% genuine Turkish cotton with a durable double-stitch edge and natural dobby weave. These bath sheets come in a set of two or four and get softer with every wash. 100% genuine Turkish cotton with extra-thick weave. Machine-washable and tumble dry on low. Natural dobby weave border. Available in classic white. 2 or 4 bath sheets measuring 40 x 70 inches. If you have any questions about this product by Linum Home Textiles, contact us by completing and submitting the form below. If you are looking for a specif part number, please include it with your message.